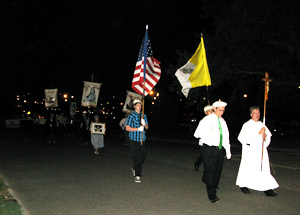 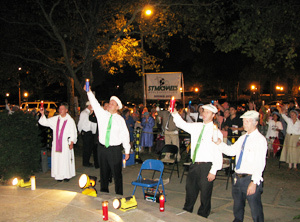 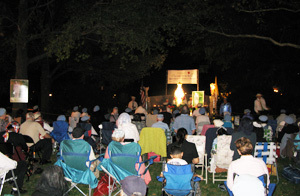 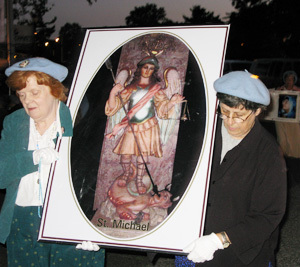 On Saturday, September 25, St Michael's World Apostolate held a procession/Vigil at the sacred grounds in honor of St. Michael, our glorious patron and guardian. 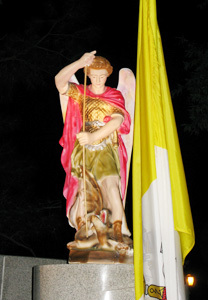 The feast day of this powerful archangel is on September 29. 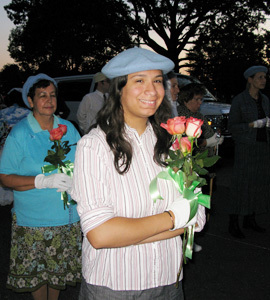 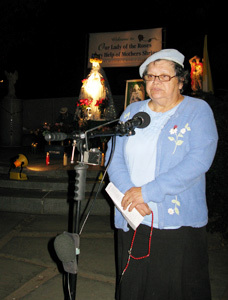 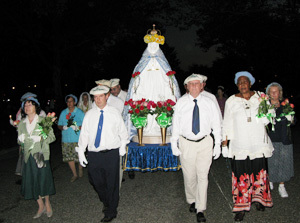 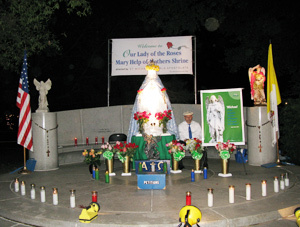 Maria Castricum, 15, of Budd Lake, N.J.
Angela Urquia of Kearney, N.J. leading the Spanish Rosary. 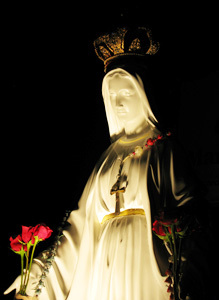 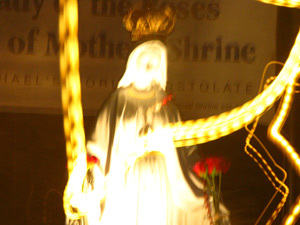 A miraculous photo with golden Rosary beads signifying the reparative prayer that rises from these holy grounds and is so pleasing to Heaven. 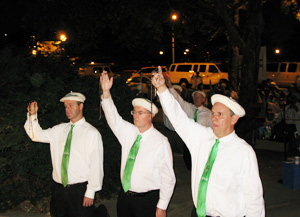 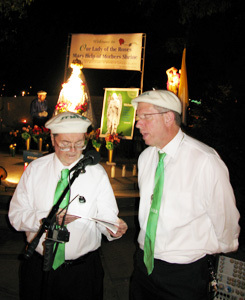 Vigil Coordinator, James Donohue, LOSM and Bill Dykes, LOSM, singing traditional hymns, including our patronal hymn, Archangel Michael. 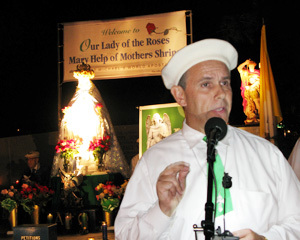 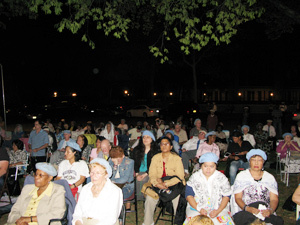 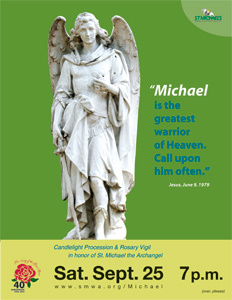 It was a well-deserved, inspiring Vigil for our glorious patron, St. Michael the Archangel, who was duly honored.